Are you getting your first Brazilian wax and not quite sure what to expect? Or maybe you are finally going to get a professional to wax your eyebrows instead of tweezing them yourself? Here are some tips for first time waxing clients! As hard as it may be, put the razor down! You’ll need to stop shaving at least 3 weeks before your waxing appointment. This will allow the hair to grow long enough so it can be pulled from the root by the wax. Hair that is shorter than 1/4th an inch will break off at the surface of your skin. You will also want to refrain from shaving in between waxing appointments. This will disrupt the hair growth cycle so the hair won’t be able to all be pulled out at the same time. Make sure to exfoliate! This step can be easy to forget but we promise it will make a huge difference with your waxing appointment. Dead skin cells build up on the surface of your skin making it harder for the hair to push through the skin. Exfoliating will help get rid of those dead skin cells so the hair can easily make it to the surface. Be careful what products you use, especially for your bikini area! Not all products were made to be used in sensitive areas so it’s important to check for artificial fillers and fragrances. 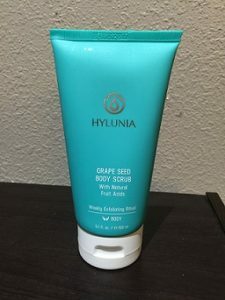 We recommend the Grape Seed Body Scrub by Hylunia for exfoliating. It has ground up grape seeds and only has all natural ingredients. Moisturizing is just as important as exfoliating! Keeping the skin hydrated will help ensure the hair slides out easily from the hair follicle. It will also make the hair stronger so there is less of a chance of it breaking off during your waxing appointment. Hylunia has a great moisturizer called Healing and Restoring Cream. The hyaluronic acid inside will hold up to 1000 times its weight in water per one molecule! For more tips on moisturizing, chick here! Have you ever tried to wax with exfoliation and without exfoliation. For example one leg with exfoliation and one without to see the result?